Always send invitations, even if you don't go with a theme. I like to send electronic invitations using Evite because I can design my own cards, send out multiple invitations, and pay nothing. Handmade cards are also nice and cheap. People tend to attend parties that have a formal invitation because they know the host has taken the extra time and effort to send them something personal. No matter what method you choose, remember to send out invitations at least a week before Halloween. It's always a good idea to send an email reminder a few days before the party as well. Be sure to include details, such as what to bring and what to wear if it's a themed party. 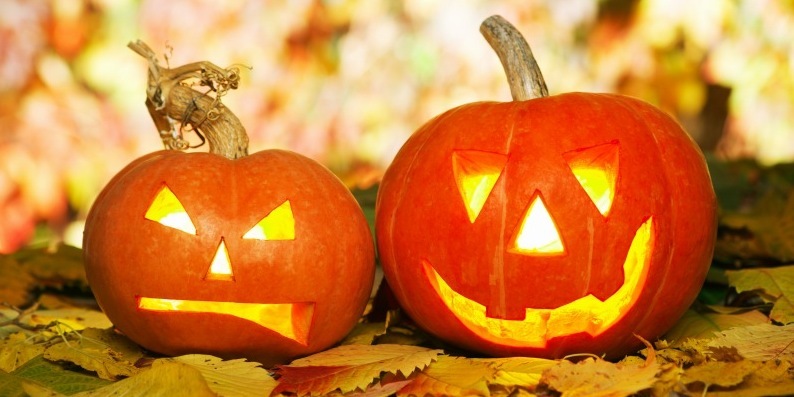 Here are fifteen theme suggestions to help make your Halloween party unique and stress free. A few years ago, I went to a BYOP pumpkin-carving party, complete with a contest for the best jack-o-lantern. To save on cost, the hosts provided pulled pork and a crockpot of spiked cider, and guests were asked to bring their own pumpkin and their favorite snack or drink. The hosts didn't participate in the carving contest so that they could judge at the end of the night. The winner received a modest gift certificate to a local restaurant just to make the competition more exciting, although you could come up with a cheaper prize or a gag gift. You don't necessarily have to make an entree, but it's nice to provide something for guests to eat and drink. Make sure you create a space large enough for people to work. Our hosts covered a long table with newspapers, but you can always move the party outside if it's warm enough. 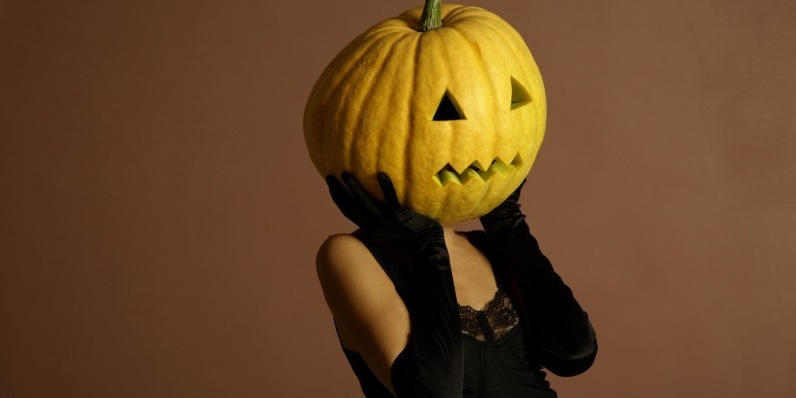 You can make costumes optional, which is nice for people who don't enjoy dressing up for Halloween. I tried this last year at my house, since I've always wanted to host a murder mystery soiree, a la the movie Clue (without the actual murders of course). 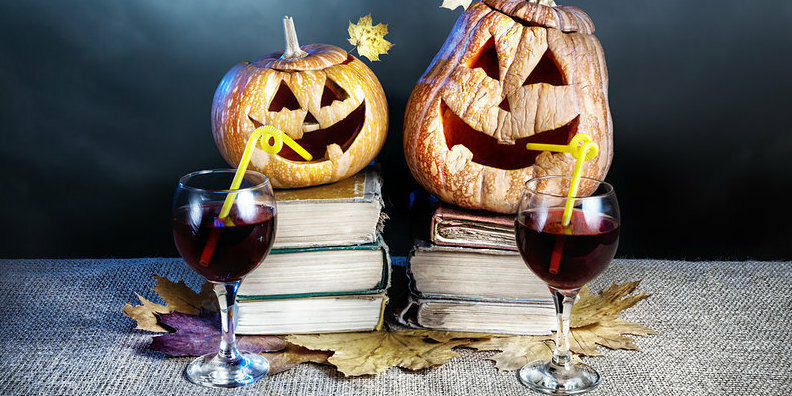 A few weeks before Halloween, I started some online research to find out how to actually host a whodunit dinner party. I found lots of great murder mystery websites, but every site charged a hefty amount for the script and rules to the game. I did eventually find a few free mystery packages after I had made up my own script, which I admit was a bit lame. A word of caution — some of the scripts can be up to 69 pages long! Give yourself enough time to prepare if you want your murder mystery party to be a success. They also work better with fewer guests, particularly if you want to serve dinner at the party. Why not bring the cult classic into your home? You can show the movie if you have a large enough space for it. If you think this theme is overdone, you should see the crowd standing outside the theater any time this movie is shown. People who love this movie will definitely show up, and you might introduce it to those who've never seen the film. One of the best costumes I've ever seen was actually a duo costume. A couple showed up at a party dressed as the main characters in Raising Arizona. The guy even had pantyhose on his head, and he was carrying a bag of Huggies. But you don't have to be a "couple" just as long as it is a costume that requires a pair. This is a great theme for all the bookish types out there. You can also add famous authors to this theme. There are dozens of costume choices for your guests, including more options for couples or groups (consider the various Round Table groups throughout the 20th Century). You can also ask guests to bring a favorite poem or short excerpt from a novel to read. Have your guests dress up as their favorite food or drink. This helps guests decide what to wear and opens up possibilities (I saw someone dressed as a piece of sushi once). You can also pair the costumes with a potluck and ask guests to bring their favorite cuisine. Make sure you offer a few different dishes so that there's some variety, just in case everyone shows up with pizza and hamburgers. There are many ways to host a film-themed party. You can ask guests to dress up as characters from their favorite films, or they can dress up as classic or modern movie stars. If you turn it into a contest, you could hand out "Oscars" to the best costume, best supporting costume, etc. Although I've never done this with a Halloween party, I was invited to a potluck where guests were asked to pick their favorite YouTube video under three minutes. The host hooked up her computer to a large flat screen TV to show the clips. I saw some of the strangest and most hilarious videos that I would never have seen otherwise. You could ask guests to pick Halloween-themed videos, but make sure they're under three minutes if you plan on having a lot of guests, or it could go on all night. Like the film party, you can ask guests to arrive dressed as a character, but from a specific television show, with enough characters to provide options for everyone. (I'm thinking The Simpsons or Arrested Development, or this could easily work for a movie with a large cast, such as Grease or Star Wars.) You could also incorporate games. At the risk of sounding like a complete geek, I own The Simpsons trivia game, and it is more fun when you have teams competing against each other instead of individuals. But you could make up your own trivia game for whatever show you pick and offer a prize to the team that wins the most rounds. One year my companion and I dressed up as Little Red Riding Hood and the Big Bad Wolf. It was an easy costume to put together, and we didn't have to answer, "What are you supposed to be?" all night as long as we remained in close proximity to one another. 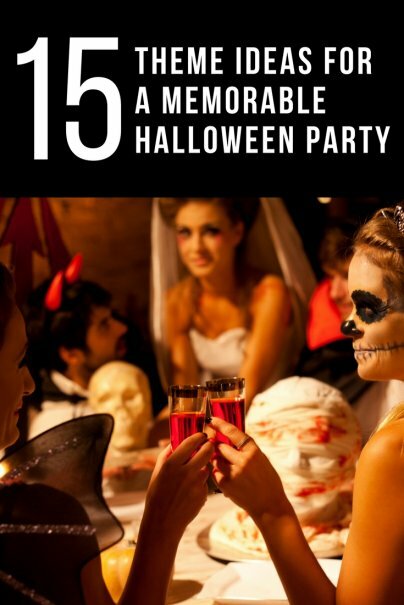 In any case, you could make this party interesting and ask guests to arrive as lesser-known fairy tale characters, and offer a prize to the most obscure costume. If you've ever seen the movie Spinal Tap, you know from the spoof on dead drummers that there are plenty of famous rock stars who died young. Even so, you may have multiple Hendrixes or Joplins show up. In that case, you could offer a prize to the "Best Dressed." You could also incorporate another trivia game about the lives of the deceased rock legends. After all, Halloween is all about celebrating the dead. Not only is this a nice play on words, but there are plenty of political players on the scene to choose from (just look at how many Republican presidential candidates are in the race). You don't have to limit your guests to elected officials or running mates. People like Jon Stewart, Bill O'Reilly, or even the Wall Street protestors are also considered political figures. But you don't want everyone showing up in business attire, so offer a prize to the most creative costume. These are some really great ideas! I would never have known where to start, but I especially love the Era themed parties or Film themed parties! I'm bookmarking this page!